On the stoop of a historic white stucco South Hill home, the sound of a piano echoes past the front door. And when John Robison — a bright-eyed 58-year-old in a yellow T-shirt featuring a squirrel in aviator glasses — opens the door, he's eager to show all of the things he makes noise with: a line of sparkling guitars and candy-colored pedals, a theremin signed by Bob Moog, a piano and keyboards. He talks musique concrète and Kraftwerk. In a paneled basement "man cave," Robison writes and records and masters his own music. It's just a hobby — something he's always done and will always do. But 35 years ago, there was a flicker in time when music had the chance to be something bigger for him and his friends. 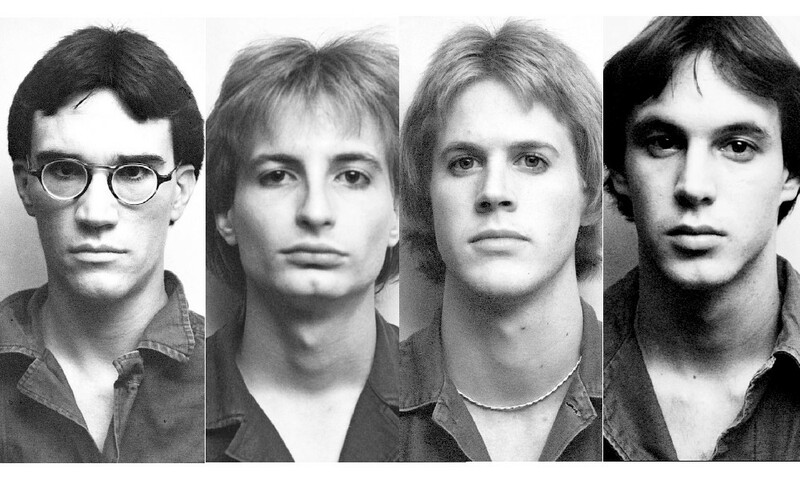 For three short years, Robison was the keyboard player in a band called Sweet Madness — a no-wave outfit credited with introducing Spokane to punk rock, a group that wrote original songs when no other band here did. And just like any good punk rock group, they stirred the pot just as much as they made people dance. Somehow — Robison says he's not really sure how — Sweet Madness' three-decades-old songs leaked out recently. They dotted the soundtrack for Spokane punk documentary Spokanarchy! and have been picked up for a commercial. And last week, Light in the Attic Records released Made in Spokane 1978-1981, a 16-song album of the band's work that has already received glowing reviews from The Stranger, Magnet and The Big Takeover, among others. The record starts off in an almost quintessential Spokane way: a blaring harmonica mimics a train horn just before the band launches into "Put on Hold," an irresistible, dancey power-pop number. The members of Sweet Madness — singer and guitarist Jan Gregor, Robison on keys, Mark Fenton on drums and Don Lynd on bass — had a buzzing, frenetic energy in the vein of Devo and Madness. It was arty, electric pop music with just enough sneer to call it punk. Sweet Madness lasted just three years before the band fanned out across the state. Robison stayed behind in Spokane while the rest of the band tried to make it big in Seattle under a different name. Friendships were lost. Robison sold all of his gear. But five years ago, Robison and Gregor started talking again. Sweet Madness brought them together, drove them apart and now is bringing them back together again. "I, personally, have not even thought of the songs for like 20 years!" Robison says, wide-eyed. He shakes his head, "Life is strange — how things can just resurface later." In 1978, Spokane had no music scene. But compared to what Jan Gregor was used to in his hometown, Spokane had potential. "Because of Expo '74, I thought I should move to Spokane," he says over the phone from his Astoria, Ore., home. "I had this idea in my head that I could be in a band. ... I was 17 and I hitchhiked up there [from the Tri-Cities]. Got an apartment on Main — 35 bucks a month." Gregor met the soon-to-be Paul McCartney to his John Lennon: a recent college graduate named John Robison who he worked alongside at Huppin's. Demonstrating stereo equipment for customers, the two realized they had similar tastes. "Everybody else was playing disco, Donna Summer and The Village frickin' People," Robison laughs. "And I would play Kraftwerk and the Ramones and Devo and these conservative people would come in, and they'd say, 'I don't really like that music, can you put on something else?'" Soon Robison and his frenetic keyboards were bringing the sound of Gregor's band, Sweet Madness, to a new level. The band practiced every night of the week, writing more than 55 songs in just three years. Still, they had to beg for gigs. Bars only hired bands that played cover sets. "There was no new music scene at the time. None," Gregor says. "So we were really inclusive, we had to build a crowd." They didn't promote their shows just as concerts, but as can't-miss dance experiences. Once their shows started to attract 150 to 200 people, Gregor says the band insisted that any opening acts play only original music too. "There were initially no other bands. So people would come to our shows and hand me a tape afterwards," he says. "There were bands that formed just to open for Sweet Madness; the upcoming gig gave them a reason to write songs and practice." Gregor and Robison laugh when asked if Sweet Madness will ever play again. "Ohhh ... who wants to listen to old men?" Robison says. "It is good music — not debating that. We just want people to have fun listening to it and enjoy it as much as we do." They both admit anything can happen. But right now, with their record hitting stores around the globe and people praising the work they made when they were just kids, Gregor says Sweet Madness is getting more attention than it ever has. He's happy they toiled in obscurity for 30 years and now — bam! — brand-new fans they were never expecting.